The ADA laws are conflicting and confusing to not only the design professional but also the building official. It is often times frustrating for business and property owners. ADA Compliance California understands these needs and are here to help. Some common questions are answered below. If you have other or more specific questions, please feel free to contact us. Are California accessibility laws the same as the Federal accessibility laws? I’ve already paid for report. Where do I go from here? ADA Compliance California can finish the job for you. Our estimating and construction services are designed to be efficient and help our clients meet the requirements. I have already been sued for ADA violations. Now what? Call ADA Compliance California now. At the least you will need to comply with the ADA building violations. Working with your legal representative we can help show you are becoming compliant. Remember being sued once means you are a target for another suit. We will work to get you out of the line of fire as quickly as possible. I do not own the building, am I still responsible for ADA compliance? Yes, remember it is a violation of a person’s civil rights. Sometimes the “injured party” will go after all parties involved. Like a fruit tree, all fruits are a violation when you pull on the fruit you get to tug on the branch and tree both. Be careful however many “boiler plate” leases make the tenant responsible for everything. Our staff reviews leases and makes suggestions revising them if needed. ADA compliance must be expensive. How do I afford all of this? Non-compliance is more expensive but, ADA Compliance California with planning brings you into compliance over a period of time allowing for the small business to budget. Our service includes assisting in finding tax credits for qualifying companies. * Do I need to worry about the ADA laws? * My building was built before 1990 when the ADA laws were passed. I only need to comply if I make changes. Correct? * If the parking is accessible am I ok? * Are California accessibility laws the same as the Federal accessibility laws? * I’ve already paid for a report. 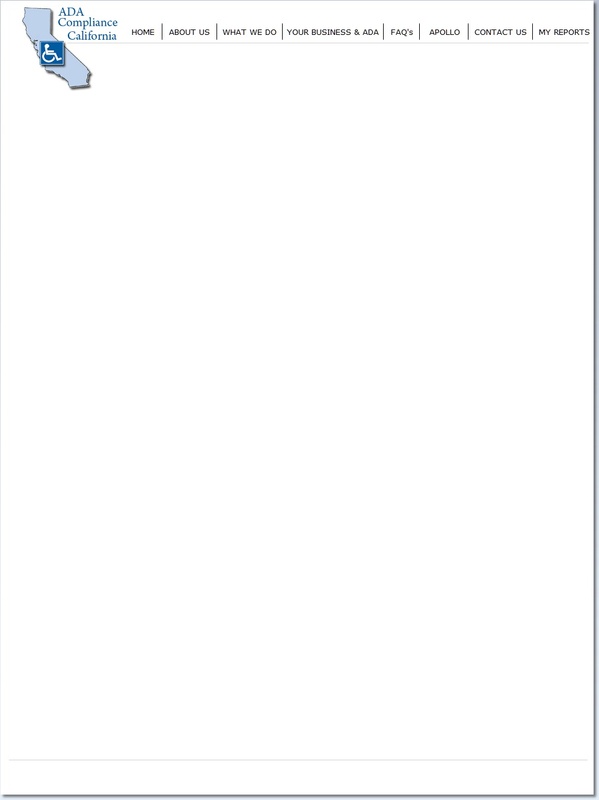 Where do I go from here? * I have already been sued for ADA violations. Now what? * I do not own the building, am I still responsible for ADA compliance? * ADA compliance must be expensive. How do I afford all of this? Do I need to worry about the ADA laws? The ADA laws affect everyone. Your business and the rights of others must coincide. If you fail to comply, costly lawsuits can affect your company’s’ ability to survive. Legal fees, fines and the requirement to comply could simply be too much. Being proactive is the best. 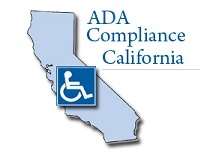 Calling ADA Compliance California now can help comply and avoid litigation. Over fifty million Americans have at least one disability. That number is growing every day. Your customers and employees will be affected by your decisions today, and the future. My building was built before 1990 when the ADA laws were passed. I only need to comply if I make changes. Correct? No, ADA law is a civil rights law. Every facility or business of public accommodation, new or old, must meet the ADA laws. ADA Compliance California can help you. We specialize in ADA compliance issues. If the parking is accessible am I ok? No, although many lawsuits target just the exterior of buildings, both the exterior and interior must be in compliance with the ADA law. ADA Compliance California has experts who will address all areas in their inspection.